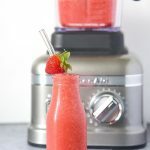 We’re sharing Tips for Blending Fruits and Vegetables On The Go Are you getting enough servings of fruits and vegetables every day? 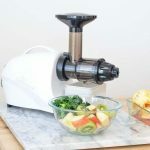 It’s recommended that adults eat 2-3 cups of vegetables a day Do you wish there was an easier way than busting out your juicer and cleaning that and all the vegetables that go into it? No need for a juicer or a blender when it’s on the go. 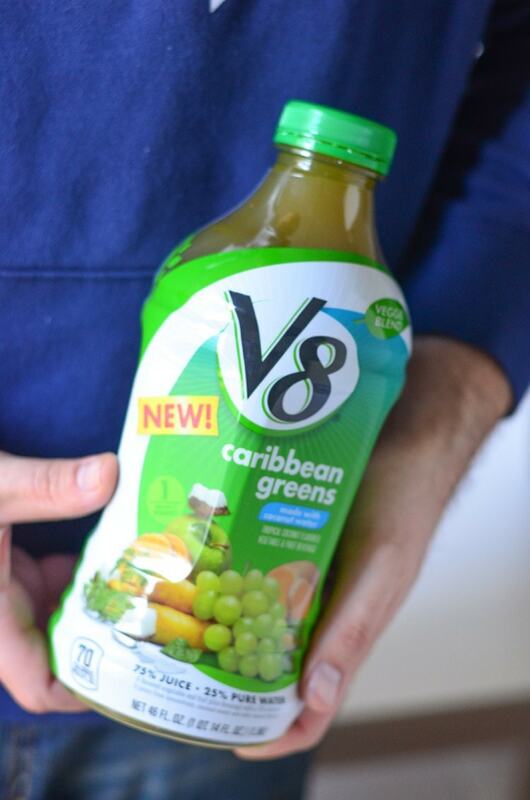 We recently tried V8® Veggie Blends which you can find at your local Walmart (you can find the Healthy Greens blend on Walmart.com), and we’re pleasantly surprised with the quality, flavor, and price tag. 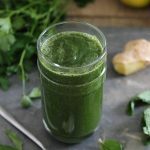 The main reason people forgo green juice is the taste. 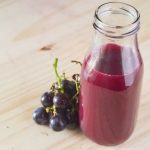 Use mason jars to bring your juice drink on the go. We use mason jars since they can be closed and they’re glass. Plus they’re affordable. Remember to keep your juice drink chilled as it can go rancid. We suggest a stainless steel bottle that can keep things chilled for a few hours if you’re not going to enjoy right away. Make juice drink ice cubes for your juice. Why would we suggest juice ice cubes? Well, if it wasn’t in the fridge it can be pretty warm. Putting in water ice cubes isn’t the best either. 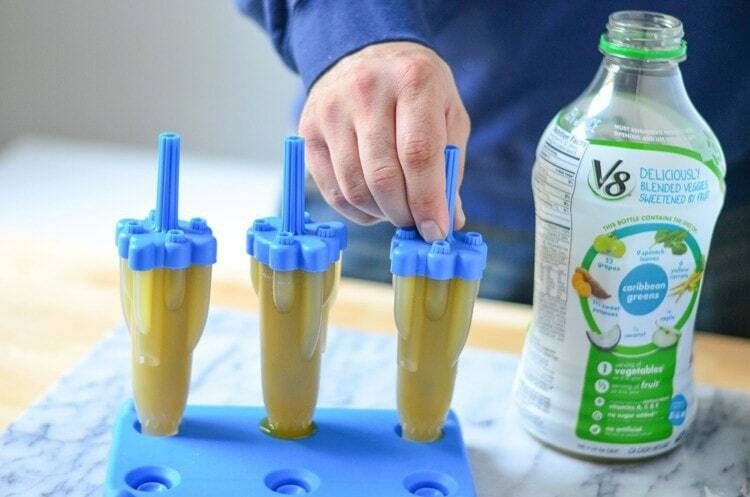 Plop a few juice drink ice cubes into your juice, and it won’t be watered down, but it will be chilled! Don’t toss juice drink you can’t drink in time. We like to enjoy within a few days of opening or juicing. 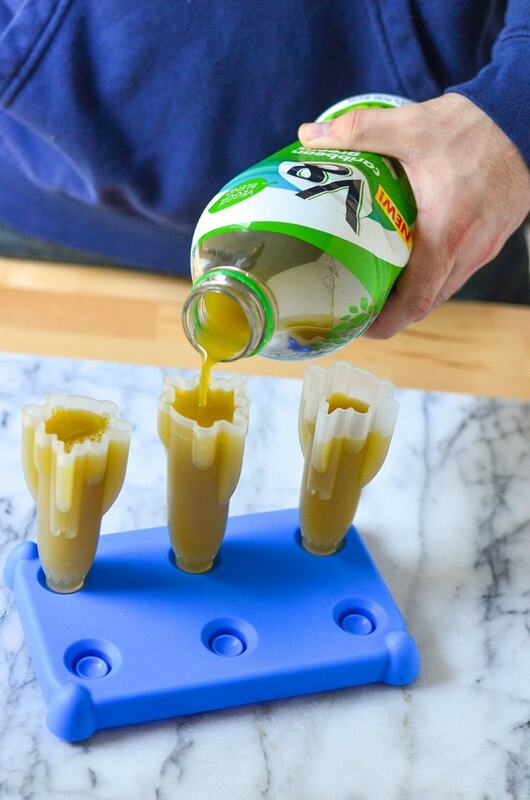 If you feel like it’s been awhile, we suggest pouring into ice pop molds. 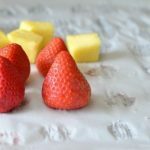 It creates a fun treat, and it’s healthy too. Get kids drinking greens too. 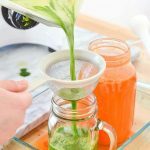 Since the green can be a bit of a challenge for some, putting it into a stainless steel sippy, the kids won’t see the green. 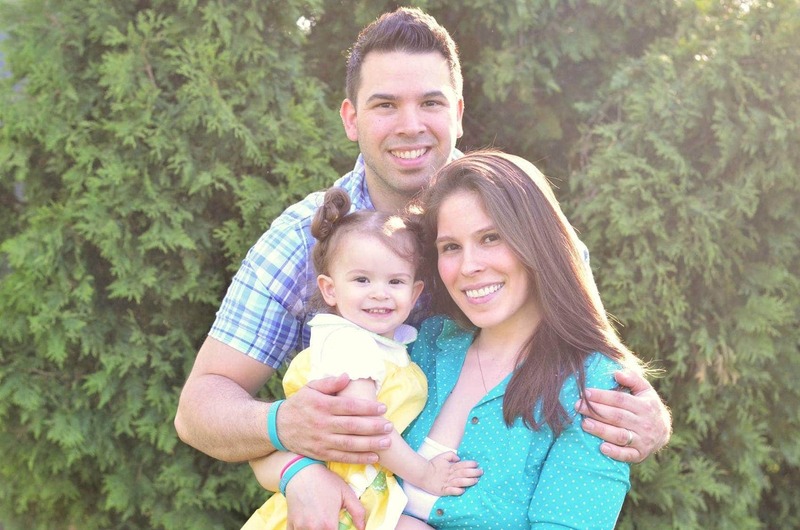 Our daughter enjoys green and calls it Green Monster/Hulk juice drink. 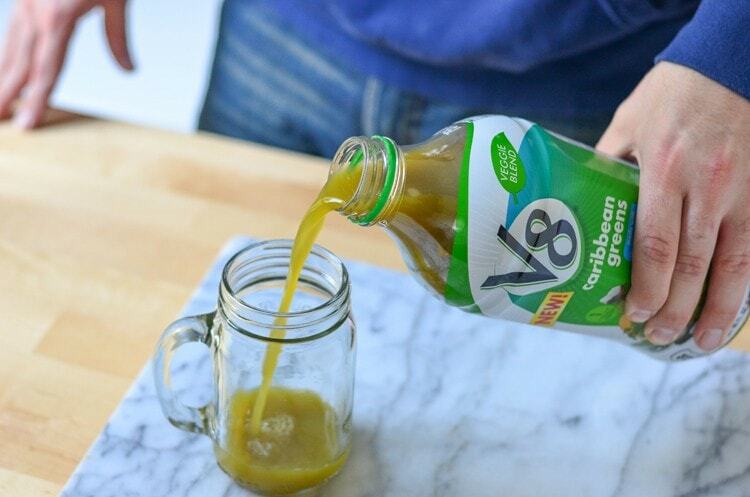 V8® Veggie Blends contain 75% juice and 25% water. 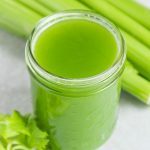 It is a great source of antioxidants and vitamins A, C, and E.
It tastes so delicious that you could even blend in more greens into it if you wanted to make a smoothie with it. 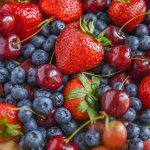 There’s no sugar added, 60 calories or less, and no artificial colors, flavors, or added preservatives, so always refrigerate after opening. This juice drink is even kid approved by our daughter. The best part of all it amounts to 1 serving of veggies for just an 8oz serving. They have two new flavors, Carribean Greens and Berry Bliss. They come in two different sizes (46oz. and 12oz) and can be found at your local Walmart. You gotta try it! 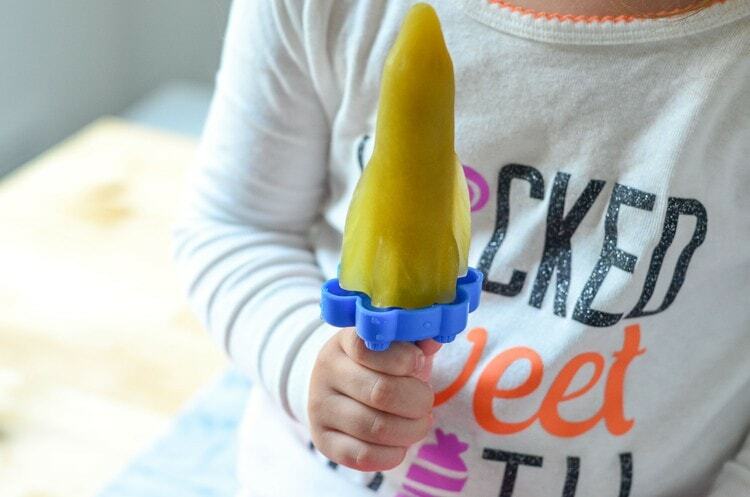 The ice pops are a great way to get the greens in for the kids. Bonus, you don’t lose any nutrients since you’re freezing them. 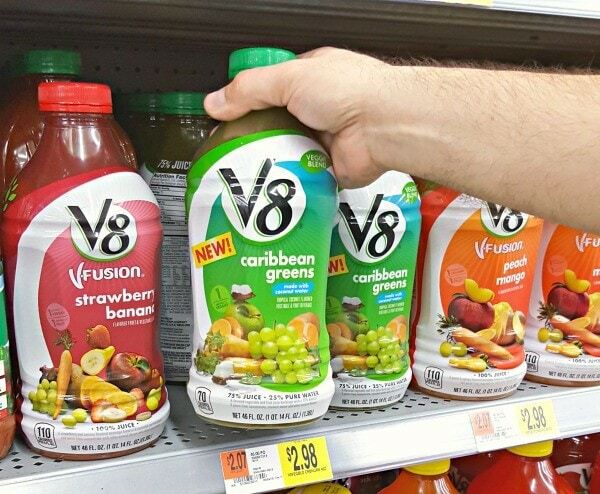 Making popsicles out of this V8 is such a creative idea! Love! Thanks, Taylor. We’re all about the creativity when it comes to food!